OR if you have a site but you’re not sure if it’s working effectively, here is some food for thought. PEOPLE GOOGLE. Like, all the time. You’ve piqued their interest and the Internet is where they’ll turn to find out more. So give them what they are looking for and make sure you control what they find! Yes, you have full control over what they see on the first page of results – especially if your website has your name in the URL. Tip: Think of your site as the “hub” of all of your online efforts – it’s your shop window, it’s the place where you can connect with people, it’s a place where you can show your personality, it’s a place where you can persuade the media you are “news-worthy”, & it’s the place where you can urge people to go on and buy your books!! Be the cream of the milk bottle. Self-publishers used to get a bad rap. Now that’s changing as more and more indie authors are proving themselves as professionals. Be that professional. A GOOD website shows people that you are taking your career as an author seriously. This is especially important when looking for press coverage, a local signing, working with a book club or library and so on. It also signals to skeptical friends and family that yes, you really are an author! 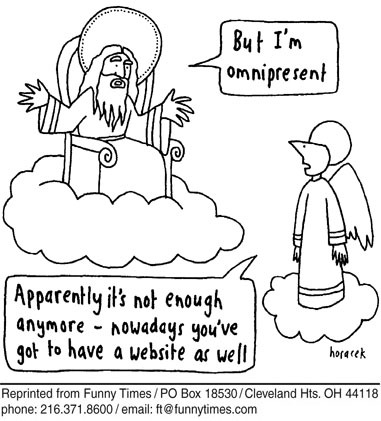 NOT ALL WEBSITES COME EQUAL. Unfortunately, having a bad website can do more damage than not having one at all. It’s a huge reflection on you as an author and on the quality of your books, so don’t rush to throw a site together in 5 minutes, or settle for something that looks like your 8 year old niece designed it. Just as people judge a book by it’s cover, they judge the quality of your work by your website. Nice-looking, high-functioning websites are affordable! Technology means that beautiful, functional websites are available for a lot less than you might imagine. Author websites simply need to be clean, simple, secure, functional and professional. Luckily WordPress.com and a few affordable add-ons will take care of this far easier than you might imagine. What 5 years ago would have cost you $5000+ is available for just a few hundred dollars. I’ll tell you more about why I love WordPress.com and how little a website can cost you in upcoming posts. Your biggest asset? Your mailing list. Your site can grow your list. If you haven’t grasped how important your mailing list is yet, then we need to fix that pronto! It’s your most treasured possession, and you should make every effort to hold on to it and grow it. Why? Well building your social media presence is great, but we saw MySpace die pretty much overnight. What happens if Facebook or Twitter die tomorrow – if Marc Zuckerberg just decides to close up shop and you lose contact with all of your facebook fans? If people lose interest in it and there’s a mass boycott? The likelihood of that happening anytime soon is pretty low, but in a couple of years people will lose interest in the social media platforms that are popular now, and something else will take their place. The only way you are guaranteed to stay connected with people is if you have their email address which changes much less frequently. New book coming out and you want to do a big Amazon push on release day? Need to get the word out about a contest, promotion or low price? Need votes for an award? Your mailing list is your best friend! Your mailing list is also the single most personal way to connect with your readers. I have fun with my newsletter and I often get replies back after it’s sent out. I love hearing from my readers and connecting with them more personally. Far more is said than in a FB post or Tweet. It’s the place where you can add additional value and content in order to draw attention to your book or work. Fiction author? Talk about some of the themes in your book. Location, issues, relationships, crisis, struggles etc. All good characters have these problems. Blogposts and articles are excellent ways to present the ideas and experiences that relate to your themes and characters. Non-fiction author? Provide supplementary materials for the book such as fact sheets, tips, exercises and plans. A good blogpost on your topic can also bring you a ton of traffic. You might just attract a literary agent, publisher, or agent abroad. Having an active website is not only a great place to direct potential agents and publishers, it’s also a great way for them to find you in the first place. I was approached by a literary agent this way who was impressed with my platform and online presence – it’s what agents are looking for these days as it makes you as an author a lot more attractive to publishers. Perhaps you’re happy with the Indie life and that’s all good – but for those still looking for the traditional pub. contract, a good website can go a long way. I’d love to know what you struggle/ fear with when it comes to your website. Is it cost? Technology? Fear of breaking it? Understanding how to use it? Leave a comment!